For this week's installment of SUPERHERO SUNDAY, let's take a look at something recent! Let's take a look at something that's not a console game. Let's take a look at a mobile game. There's some good mobile superhero games available for the iPhone and Android. There's also a lot of really crappy ones. 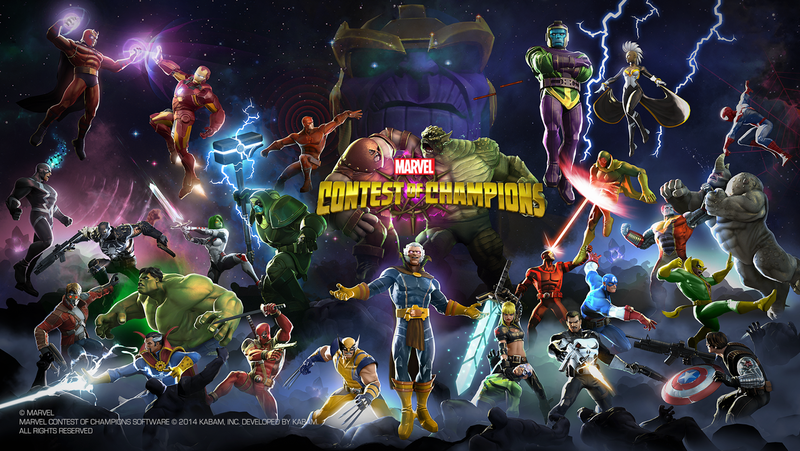 Fortunately for us, Marvel Contest of Champions seems to be better than most. It's a free-to-play mobile fighting game that has a touch of RPG elements to it. First of all, it's a freemium game. You can spend money in this game. You don't have to though. In fact, I've only been playing for a few days and haven't felt the need to spend any cash on it. The currency is various crystals and it seems that you can actually earn enough with some patients to help you build up your roster of heroes. There's also daily events that keep things fresh and exciting when you're not grinding through the available quests. The 3 vs. 3 events seem to be an easy way to earn some 3 star characters. All it takes is patience and to compete every couple of hours. As of now, it seems easy enough to rank high enough to earn those 3 star characters. What makes this game fun for me is the leveling system. While a little confusing to start, you quickly get the hang of it and it gives you goals to keep you interested in playing. Honestly, it's a little addicting. I've abandoned most of my other mobile games since finding this one. 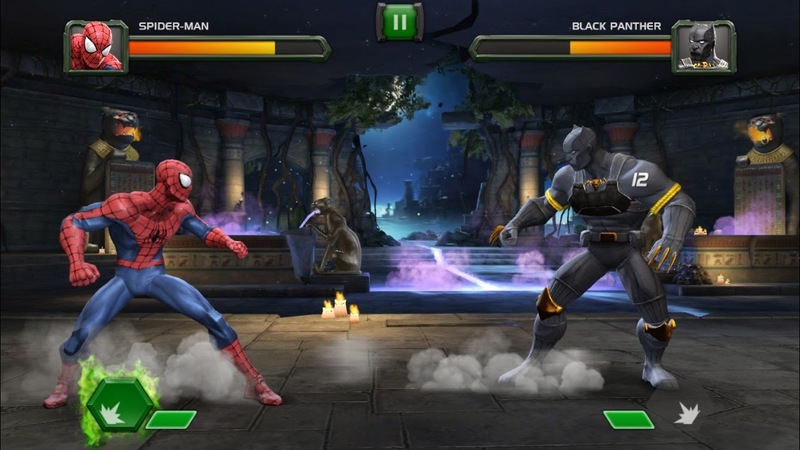 There's also loads of YouTube videos and websites devoted to this game indicating that it has a sizable fanbase which should keep the updates from Kabam coming. If you're looking for a a fun fighter with Marvel characters, you could do a lot worse than Marvel Contest of Champions.